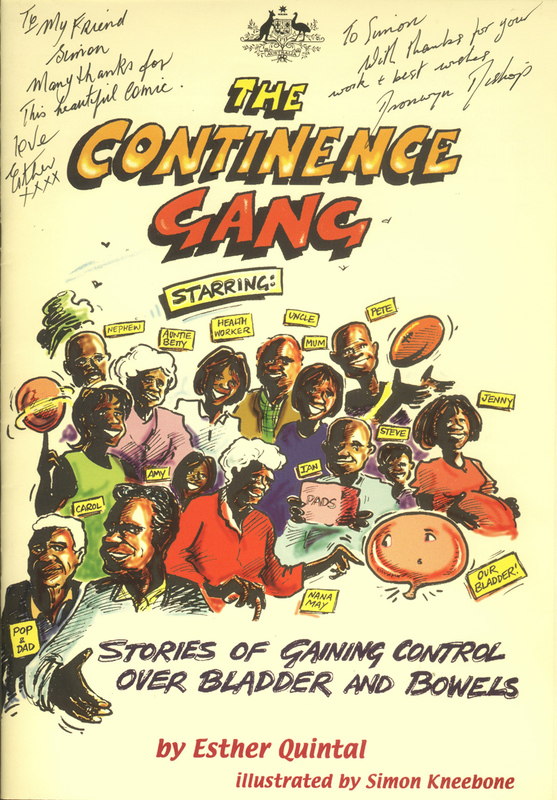 The Continence Gang – published in 2001 – was a comic book written by Esther Quintal for Aboriginal and Torres Strait Islander communities. 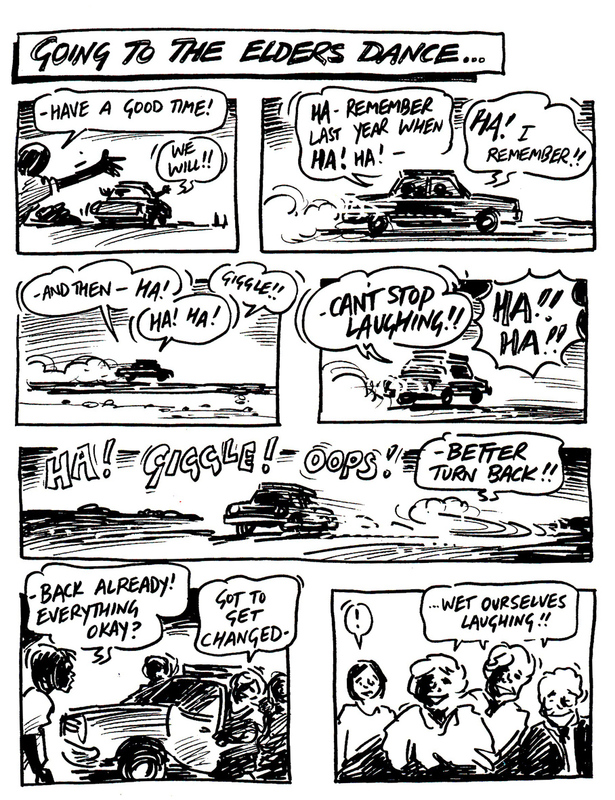 Esther wrote that ‘Continence is something my people do not understand … It is clear that incontinence is a problem and causes shame for many’. It was a challenge getting the ideas and messages into pictures, but a lot of fun as Esther encouraged me not to hold back. Last week Marjory Kobold, one of the coordinators of the project phoned to say that Esther had died.